Much of the focus of public transport improvements is around Heavy Rail, Light Rail, and Busways which will make up our rapid transit spine. This often makes sense as these are high profile investments that transform our city. However, it is important not to ignore smaller improvements that can be made to public transport. The bulk of our trips both now and even after the Congestion Free Network will be delivered by buses, especially those along the frequent network. It is important that we don’t forget to invest in these corridors as they can deliver improvements for passengers quickly and at a low cost that will lead to both high immediate as well as long-term dividends. There is a lot we can do to significantly improve these bus services and a key area we have often highlighted in the past is bus priority. However, often the best solutions are smart ideas rather than simply focusing on kilometres of bus lanes delivered. This post is the first in a series where I will use several Auckland examples to illustrate how we should deliver bus priority in the future. The corridor between Newmarket and the City is a busy one. It was even the subject of a what was then a large public transport investment known as the Central Connector which included many of the sections of bus priority now in operation, including Grafton Bridge and Symonds St. While the New Network has, and will, decrease the number of routes using this corridor, it will still be an important for buses in the future. Notice the common theme: intersections. As with cycling, the most important areas we can focus infrastructure on is around intersections, however, just as with cycling, we seem to focus the infrastructure on everything else, which is odd considering intersection priority has fewer effects on parking and provides a large benefit. We don’t always need to roll out hundreds of kilometres of lanes along the whole bus corridor to fix the big issues. While some corridors will need this approach, there is a large opportunity cost to this, which I will go into further detail during the series. What we need to focus on is fixing the actually identifiable pinch points. The issue here is this is not just a usual intersection, but the worst of all movements required in bus operations, a transition from a kerbside bus lane into a right turn lane before a busy intersection. This means the bus has to cross from the left-most lane to the rightmost lane, across two lanes of traffic. This often means the bus lane leading up to the intersection is effectively useless, as the bus has to cross lanes well before the intersection. The bus driver also has to guess when the best time to cross the lanes will be causing both issues for general traffic as well as buses. Luckily a solution exists to this which is a combination of technology and infrastructure. The solution is to create a kerbside right turn bus priority pocket with a right turn advance phase. The bus can continue using the kerbside lane the whole length to the intersection then gets a priority B advance phase where buses needing to access Park Rd can turn right while buses continuing down Khyber Pass can continue straight. General traffic will still be able to turn left during a normal phase while they will be inconvenienced by the new B phase for buses they also won’t get stuck with the current mess of buses trying to merge across them. This arrangement can be seen in various Australian cities including Melbourne and Brisbane. The example below is from the Northern Busway in Brisbane, where the bus transitions from an on-road bus lane to a separated busway. The buses have a special traffic light so they can cross the 6 lanes of traffic. This is a type of practical technology solutions that is actually needed to solve identified problems, rather the than the current obsession for new apps! The issue here is a result of the odd shaped off-line bus stop, combined with the limited space for cars to queue up to turn left (stacking space). The traffic often overwhelms the left turn lane, queuing back past the bus stop, which leads to buses getting stuck in the bus stop, further delaying buses which don’t need to stop. While usually off-line bus stops are not recommended for best practice bus operations, for this corridor it does make some sense due the high level of different bus routes using the stop, and the presence of the left turn lane. The solution here is to turn the middle Broadway lane into a combined straight/left turn lane while converting the current left turn traffic lane into a bus priority pocket. This still allows general traffic movement, while providing adequate space for buses to stop. For buses coming from the city that need to right turn into Broadway, they face the issue of a right-hand turn from. Therefore a similar intersection treatment could be done as I showed in the first example above. With the combination of these two treatments a bus heading city-bound can now stop at Newmarket without getting stuck, can turn easily into Khyber Pass Rd using the existing kerbside bus lanes to full effect, then simply turn into Park Rd without any need to merge across lanes. We don’t need 1000’s of km of bus lanes to make priority work, often if we look at bus corridors we can solve the problem with smart quality solutions rather than just quantity. The former has many other benefits beyond just cost and effectiveness which I will go into more detail in the next few posts. For the first one – I definitely think that a bus lane should be introduced, Khyber Pass is effectively an onramp for Sth motorway and with heavy traffic it grinds to a halt (particularly between 3pm and 6pm). I think my personal record on a bus is 15 minutes between Broadway and Park Rd. Second one requires probably a different approach. My preferred option is to close Park rd to through traffic on that stretch, allowing only for hospital access. I’ve had a similar thought in mind – restricting Park Rd to buses only, except for hospital and Domain access from the Carlton Gore Rd end. Cars would stay on Grafton Rd up to a new set of lights at the intersection with CG, and vice versa. Only problem is that it may not make the residents of CG Rd very happy, but it would give buses much faster progress from Grafton Bridge. It could also allow the footpath outside the Park Rd shops to be widened considerably, which should benefit the large number of food shops serving the hospital, medical school, and local businesses. This is fantastic! There are so many quick wins to be had like this across the city. I feel like this reiterates the importance of AT staff using PT as much as possible as sometimes issues like these are not immediately picked up by someone modelling from a computer desk. Very good points made. Newmarket is the second CBD of Auckland and it would be awesome to see these public transport improvements (as well as all of the Wilson’s parking crap gone). Harriet, do your posts reach Auckland Transport directly? I.e. does someone at Auckland Transport read these blog posts and actually consider them, or are these blog posts mainly for our entertainment and discussion? Yep intersection improvements and priority make so much sense – as that’s where the pinch points and congested areas are. A classic example of bus lanes not really doing much is Great South Road (Hill Road to Browns Road (Manurewa – north bound). This area offers around 1.5km of bus lane in the am peak, but there is rarely traffic in this area, in fact, 95% of the time I’m on the 33 bus, they don’t even use them and pull out of the bus stops and back into the normal traffic lane! Bus priority at traffic light intersections can be very quick wins for faster and more reliable buses. The thing is that these are just so obvious you wonder why they weren’t implemented at the time of the bus lane. Especially that Khyber pass one. In the current configuration that bus lane must make buses slower as it forces all cars into the right lane which buses then have to compete with. Without the bus lane that right lane would have 50% less traffic. I’d actually like to see some intersections closed off on busy bus routes too. For example, do we need Alex Evens Street access to Symonds Street? Could be one less place for city bound buses to stop at. I think that you have hit the nail on the head Jimbo – why weren’t the roads configured the best way in the first place? Surely an experienced engineer can look at a roadway and comprehend what future traffic flows will look like? I believe that it all comes back to what we have seen recently, that while professing to advance public transport, AT really has scant interest. How is it possible that AT cannot achieve the installation of the amount of bus lanes that they plan for each year? The paint company has run out of that shade of paint? Great suggestions Harriet. When I was working in Newmarket in the late 90’s and house-sitting in Grey Lynn, I would often walk home because the buses were stationary. I don’t imagine it’s any better now. Where could cycle infrastructure sit in all of this? Another peak time pinch point between Newmarket and the city is the Park Ave / Park Road intersection. Cars coming out of Park Ave on to Park Road often hang over the bus lane for minutes, blocking all buses coming through. I don’t know how this could be avoided other than regular enforcement? Can you drive? That’s because if you stop too far back, you can’t see cars coming from either side when turning. So, you have to move out a bit to get visibility. A simple solution is to put a set of traffic lights here and to get rid of the traffic lights at the entrance to the hospital. Yes, I can drive. I understand that drivers may need to sneak forward for visibility, but that’s not the issue in this situation. It’s drivers sneaking their nose into a gap in the middle of a queue of cars, but then not being able to straighten up in the lane. So it’s the back end of their car which hangs out and blocks the bus lane. Moving the traffic lights may solve this one issue, but I imagine people wanting to get into the hospital car parks from the opposite side of the road would oppose any change to the current configuration, and their attempts to cross the oncoming traffic might cause more problems. That’s a hard problem. As a driver you have only two choices over there: block the bus lane, or wait for a couple of hours until rush hour is over. I don’t think you’ll convince a lot of people to do the latter. Traffic lights won’t solve this problem because drivers tend to queue across intersections if traffic is busy. There is another really obvious option. Close the Park Ave intersection to cars. With this sort of logic you should get a map of Auckland and draw a line across grafton bridge. Then extrapolate that line until it meets the sea on both sides. Then say cars are banned in front of this line. I am based at the hospital and I’ve never seen these issues, with all due respect. Pretty sad picture at the top, Harriet. Where are the people? Where are the places? Why would someone want to be there? Most of them are in those 3 buses headed for more civilised parts of the city. Really good ideas. You really have to wonder at the illogic of bus stop placement relative to intersections. And no, there is not the room for bus lanes everywhere, much less the budget. And in keeping with that surely the foundation policy of Auckland Transport must be to keep ALL traffic flowing. A policy I think does not exist. What seems to have happened in their zeal to promote cycling or pedestrian flow is always to the detriment of ordinary traffic through poor interection control, retarded uncoordinated traffic light phasing and double pedestrian light intervals stopping all other traffic moving. Someone suggested AT are trying to discourage cars from the city, unsure if that is true, but at times the frustratingly mindless traffic management sure seems that to be the case. But the thing is buses get stuck in the gridlock caused by AT’s useless traffic management directly causing bus based PT to become dysfunctional and unattractive. Hence they need very simple clear policy to ensure what happens on the roads does not hold up buses. Which intersections are you thinking of with double pedestrian phasing? I can only think of those on Queen St, and yes the thousands of pedestrians on Queen St should have priority over all other users. 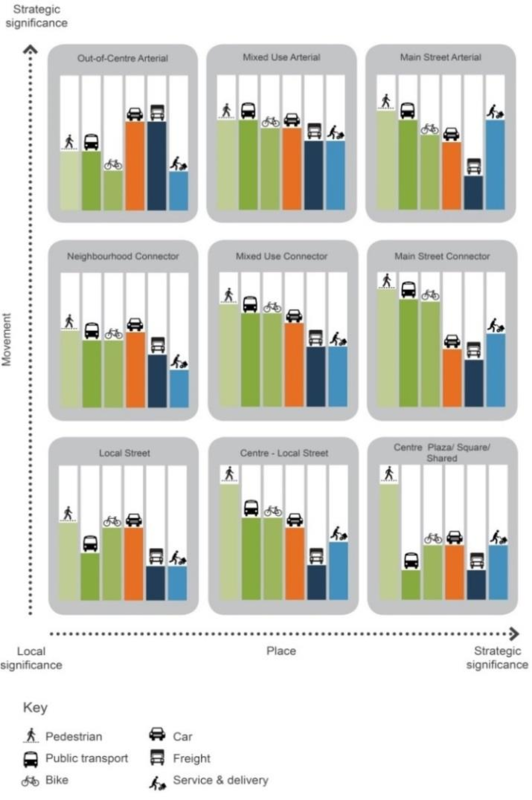 You can still have good priority for both pedestrians and buses, it just involves reducing the priority for the small number of people using private cars in places like Queen St.
As per the whole of my comment, rraffic flows are awful everywhere but Queen St probably demonstrates the worst of it. Number one priority is keep everything moving as much as possible and there are ways of doing it without a double barn dance crossing. As I said buses get caught up in gridlock and Queen St is a main route for many services to use or traverse as they crawl out of that area unnecessary time is lost. Roads are there to allow people to access property and movement of people. In the case of Queen Street the majority of this access and movement happens on foot so pedestrians very much should have priority. I struggle to think of anywhere in Auckland that has an excessive amount of pedestrian priority. In contrast there are numerous places where pedestrian priority is terrible. You are right that traffic flows are awful, but that is mainly because there are so many cars taking up space on the road. There is no need for buses to be held up by general traffic, they can be given priority on busy roads as they are almost certainly carrying more people. I agree, and on Queen Street there are 20 times more pedestrians than motor vehicle occupants, so we should work 20 times harder to keep pedestrians moving. If you closed Queen Street to all vehicles except buses running along it without turning, you’d massively improve the crossing times for pedestrians and the flow of the remaining buses and traffic across the Queen Street valley. You are taking the urine, yeah? That seems to be exactly what AT and NZTA do. If Lincoln Road, or Taharoto or the northern motorway needs another lane then they just do it. Look at their annual report where different traffic flow spots are monitored. Have you gleaned nothing from this blog? That Auckland’s ability to accommodate more cars has been exhausted; and if you don’t accept that, then at no affordable cost. Endless vehicle growth does not fit with a climate change policy. Ah, now you are on to it! Putting a whole heap more people on public transport will help clear the roads for those who still choose to drive. Part of encouraging people onto buses will be because they are timely and quick. It will necessitate more busways and more priority intersections. Those travelling in cars can avoid these roads if they wish, an option not open to bus patrons. Yes you are right about Queen St. I am recently back from Sydney and the main street is being transformed into a tram way. Great idea to moves thousands of people. Note that this is not the case for all roads. For example, the roads Neilson Street, Lincoln Road, Rosebank Road, Constellation Drive, Wairau Road, and Great South Road (Penrose) are given as examples of roads where pedestrians, buses, cyclists and deliveries all have lower priority than the private car. I look forward to AT making the sort of changes that Harriet has suggested. However, to be properly in line with the RASF, there needs to be further priority given to cyclists. AT have already highlighted the modal priority change that needs to occur; now it’s time to achieve that. Whilst I’m not a traffic engineer, a traffic engineer would probably tell you that making the left lane a bus lane at the Broadway / Khyber intersection would take too much capacity out of the intersection. The dominant vehicle movements are Broadway left onto Khyber and Khyber right onto Broadway. Configured as current, the left from Broadway gets green time at the same time as the right out of Khyber onto Broadway. If the middle lane became straight through and left, it would mean that it could not run at the same time as the right turn from Khyber… That is probably why it is the way it is. Good question to put to an AT traffic engineer though. Auckland badly needs more bus lanes. The example here though shows a narrow green stripe, that would sandwich cyclists between what would be two steel sewers. Just looking at it terrifies me. surely, this is not sustainable safety. The balance of priority at intersections is the fundamental issue for street design, whether between different user types or different directions of movement. Traffic modelling tools make some of this easier to deal with than others, often by leaving out key user groups. Balance and/or fairness requires consideration of people per hour or delays per person, whatever mode, and sometimes prioritising some over others, especially to maintain reliability of buses. The catch is that when capacity of any lane or movement (including pedestrian phases) falls short of demand, congestion occurs. There then needs to be space to stack the waiting users. And cars take up most stacking space per person. This leaves us trying to find the ways of taking other people past those waiting. A bus lane is just a way of getting past the queue for an intersection. What we need to do is plan the acceptable user capacities of each intersection along a route, or across a network area, to achieve matching capacities. “Improving” capacity to the maximum of space available at one intersection, and just passing the problem onto the next, is no way to “improve” a network. Harriet’s suggestions are good methods for various cases, and might work at these sites, but the need is to test them with the right modelling, and identify what success looks like for the intersections. Great suggestions. A couple of years ago while walking from Newmarket station to Grafton mid morning I was pondering how to improve the Khyber/Park Rd intersection with them having to cross like that and thinking surely it must snarl up at peak times. Had just watched 4 buses come through together back to back. 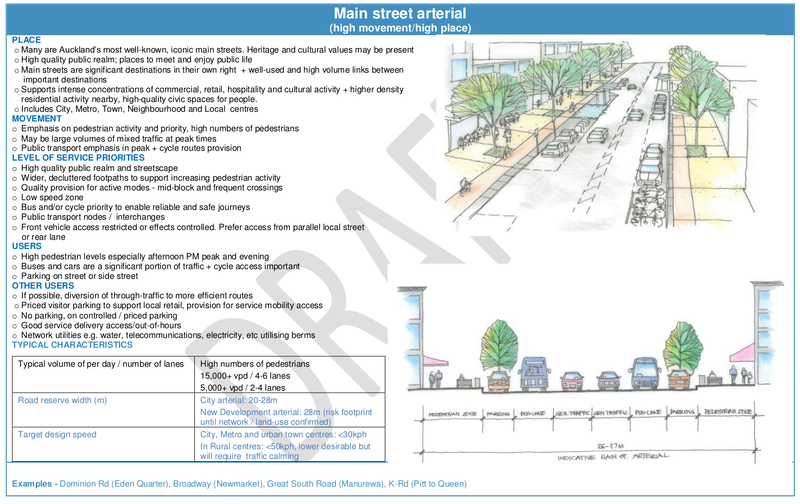 Khyber Broadway lane configuration should be bus lane, LT only and through. No point having a shared through/left because left turners always get held up by pedestrians. Through traffic is pretty heavy though. It will probably work most of the time though. Turning left or going through using a bus priority signal usually works ok, but in practice it can be really tricky to implement right turn bus priority. Khyber/Park is much trickier for this reason. Your idea would suggest having a bus lane then through lane, then right turn lane. Sometimes the right turn queue blocks the through lane so you could effectively shut down the only lane traffic can use to head through. They will just end up driving on the bus lane triggering the sensors to call the bus phase even if there isn’t a bus there. I’m not sure it would work well if you have more than 1 bus in the pocket. If you have two buses waiting, the 2nd bus definitely wont have time to get through the intersection if it is turning right. If there is a through bus at the front and a right turn bus behind it, then the RT bus won’t have time to turn right safely. I imagine in 2018 it wouldn’t be too hard to find a sensor solution that can tell how many buses are lined up. A fixed bus lane camera would likely stop most people from using the bus lane. If Single Occupant Vehicles (SOV) are clogging up the road for other SOV users then this problem needs to be solved by SOVs not reducing bus priority. The issue with buses on Khyber Pass Rd going from left-hand kerb bus-stop (#7175) and turning right into Park Rd doesn’t occur (not currently anyways). Only straight-thru-and-up KPrd buses are (supposed to) stop there. Any buses turning right into Park stop at the Grafton Train Sttn instead. Has been that way for a while, and may not be ideal, but the situation of buses having to do something as described doesn’t currently occur (unless I’ve badly badly badly missed what was being described).